Choose the best for your dress! Let us preserve your memories! Trust Rogers with your Wedding dress or any of your Heirloom garments or linens. As a proud member of the Association of Wedding Gown Specialists we will personally hand clean your gown on-site utilizing our trademarked Anti-Sugar ZeroCarbon(TM) MuseumCare(TM) process. After your personal inspection we will carefully store your dress in an archival quality wedding chest. All of this is backed by a written international guarantee. 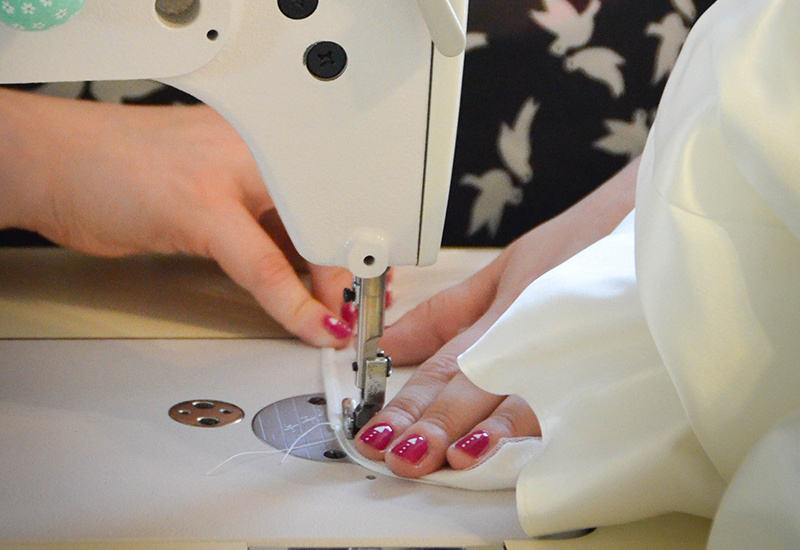 Our expert tailors will have your wedding dress fitting like a glove. Before or after your big day, we will get your dress sparkling clean. 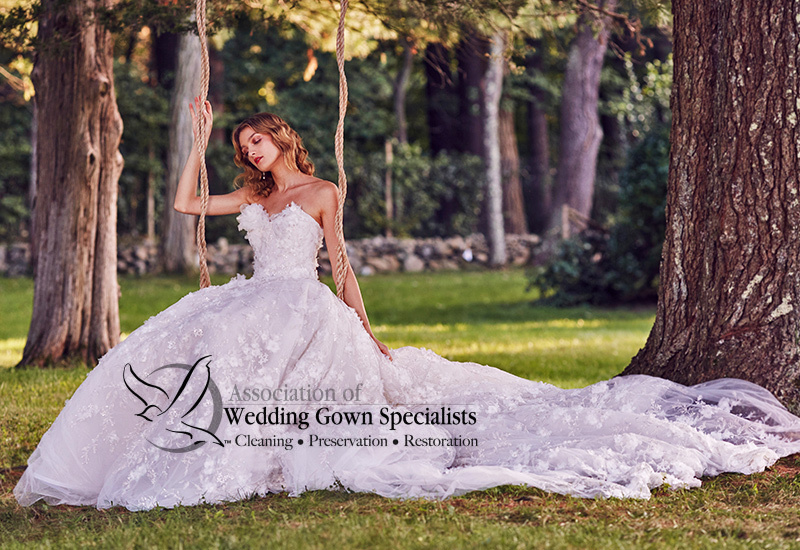 Proud Member of the Association of Wedding Gown Specialists since 1970. Beading, zippers or loose hems, we will fix it like new. Trust your dress to Rogers. Rogers made last minute alterations to my dress the day of our wedding! 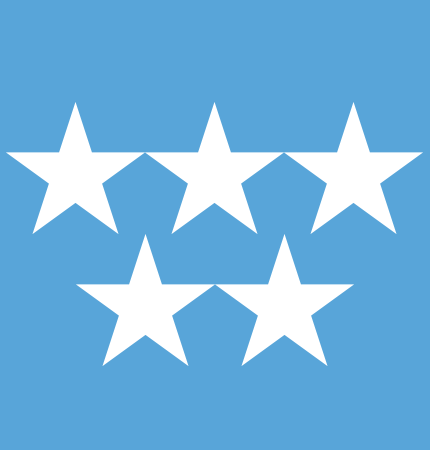 I couldn't be happier with their excellent service. 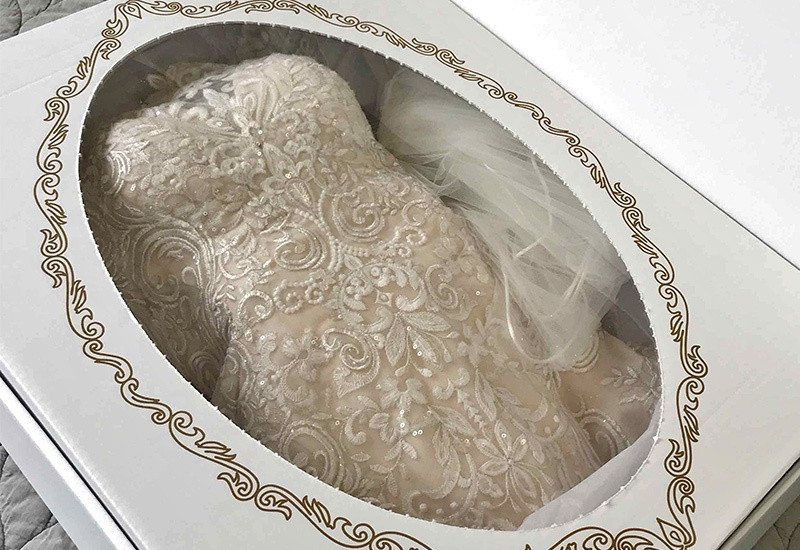 We had my daughter's dress cleaned and preserved at Rogers with the peace of mind they are certified by the Association of Wedding Gown Specialitsts. Thank you for taking care of my bride to be - your professionalism is outstanding.